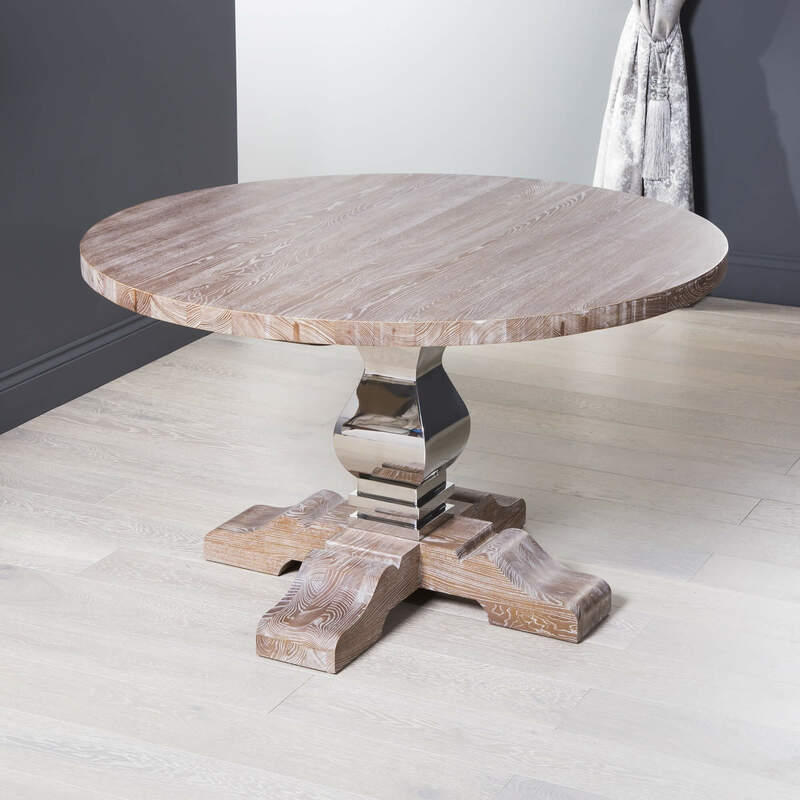 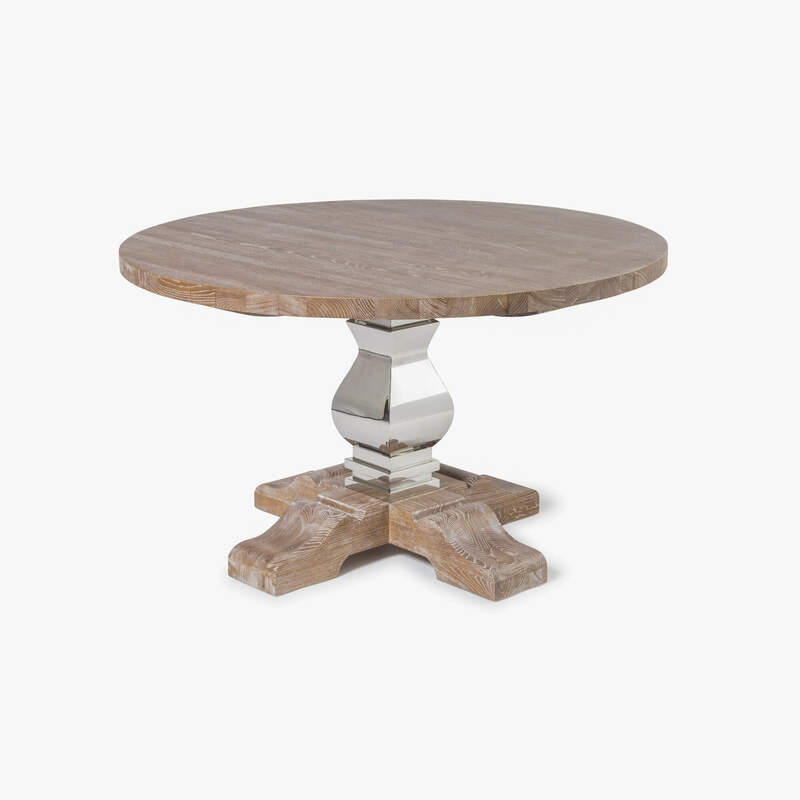 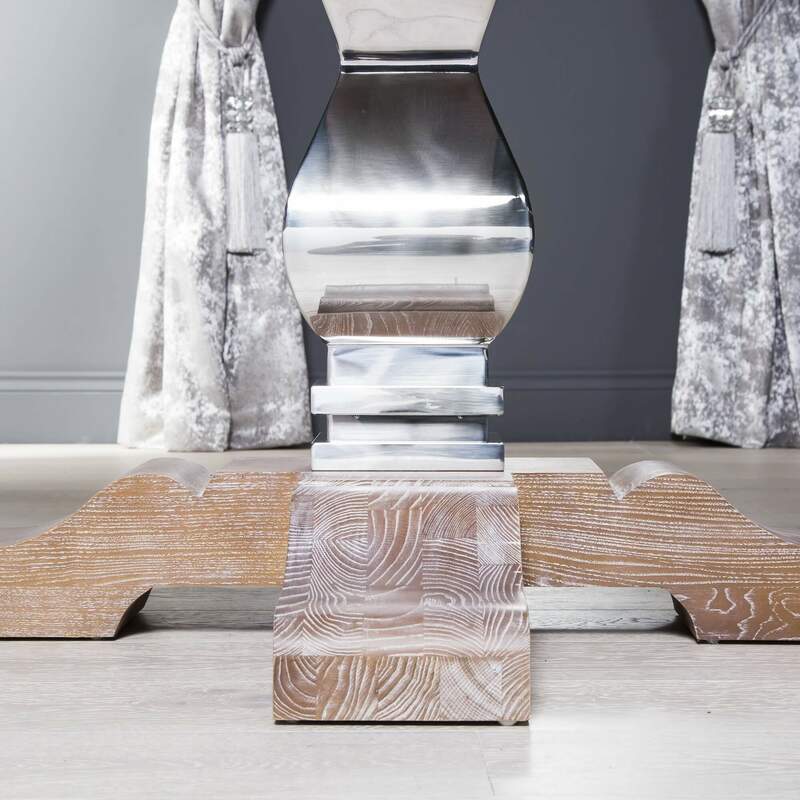 This circular dining table is made from North American Elm which sits above a stainless steel elegant pedestal base. 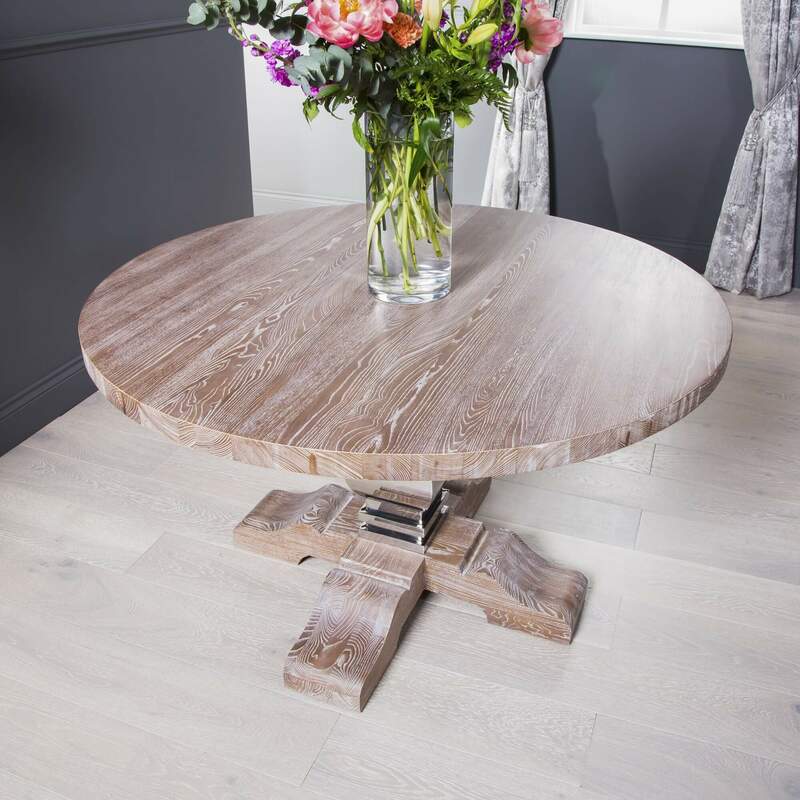 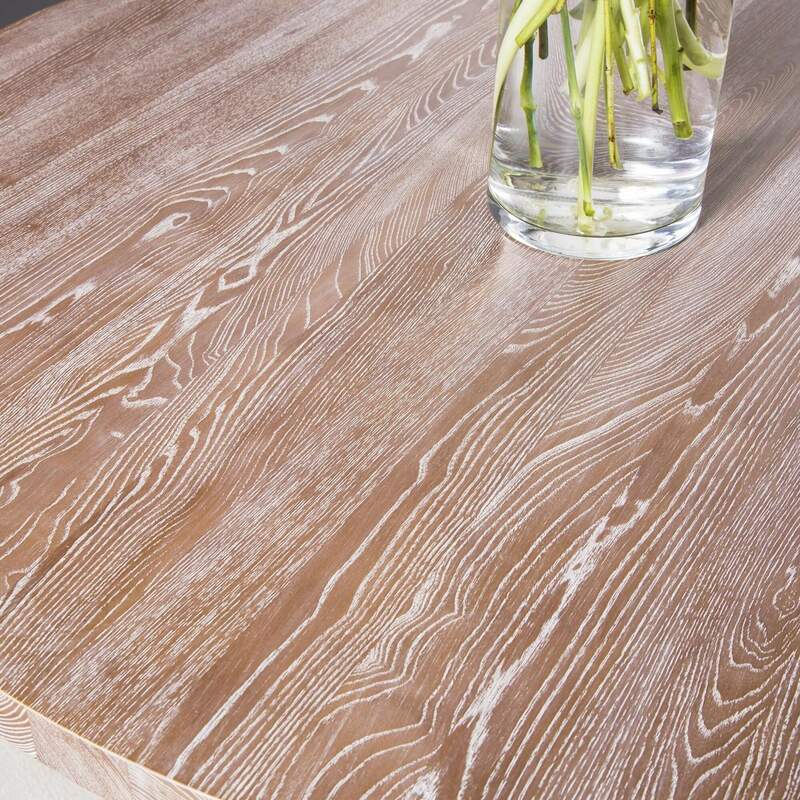 The table is also finished in a white wash patina. 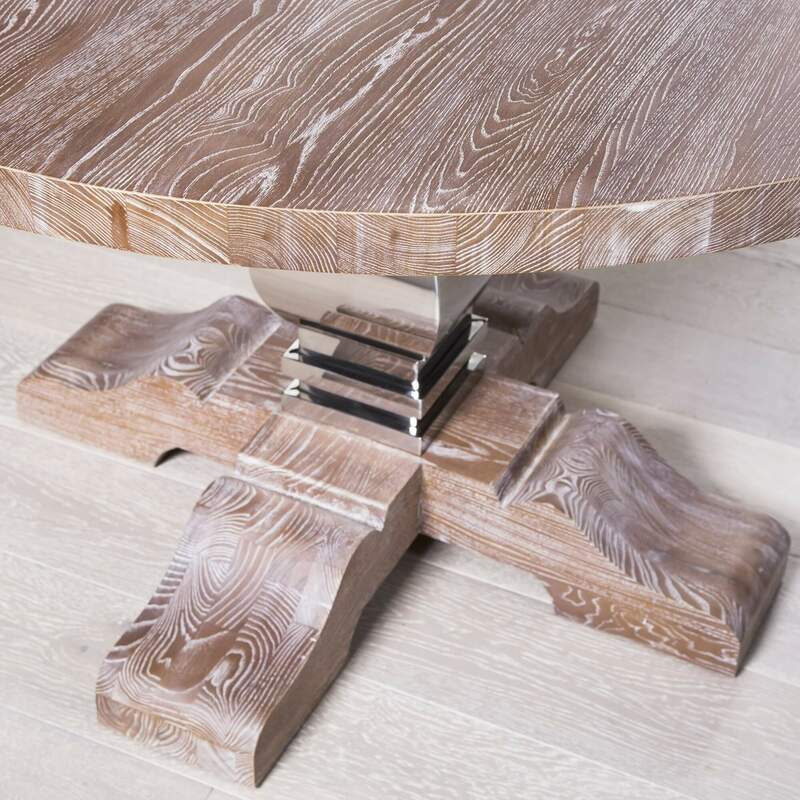 This dining table will seat 4 to 6 very comfortably. 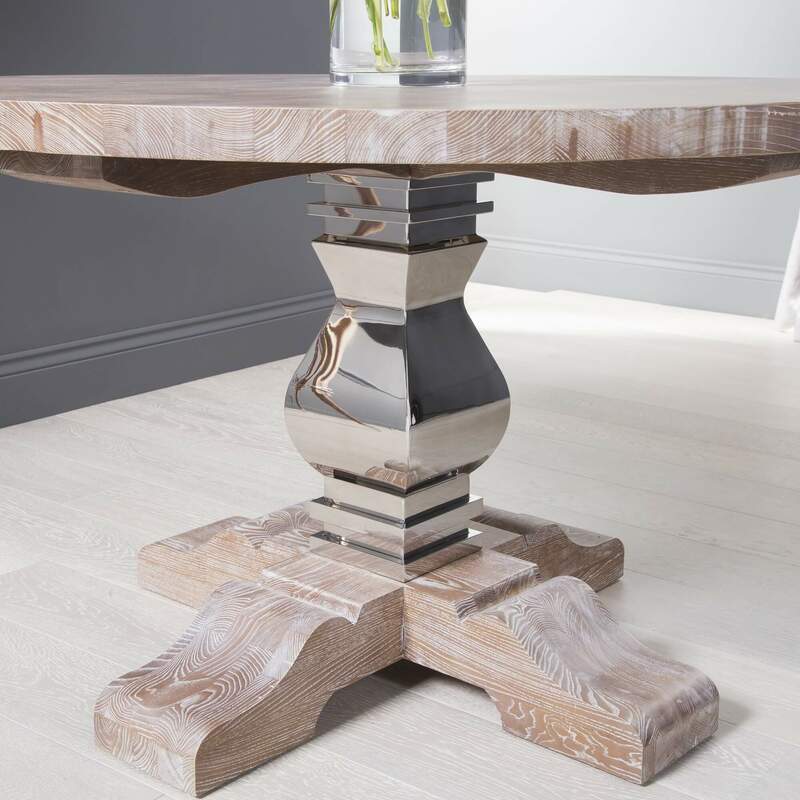 Please note it is only the dining table which is for sale. 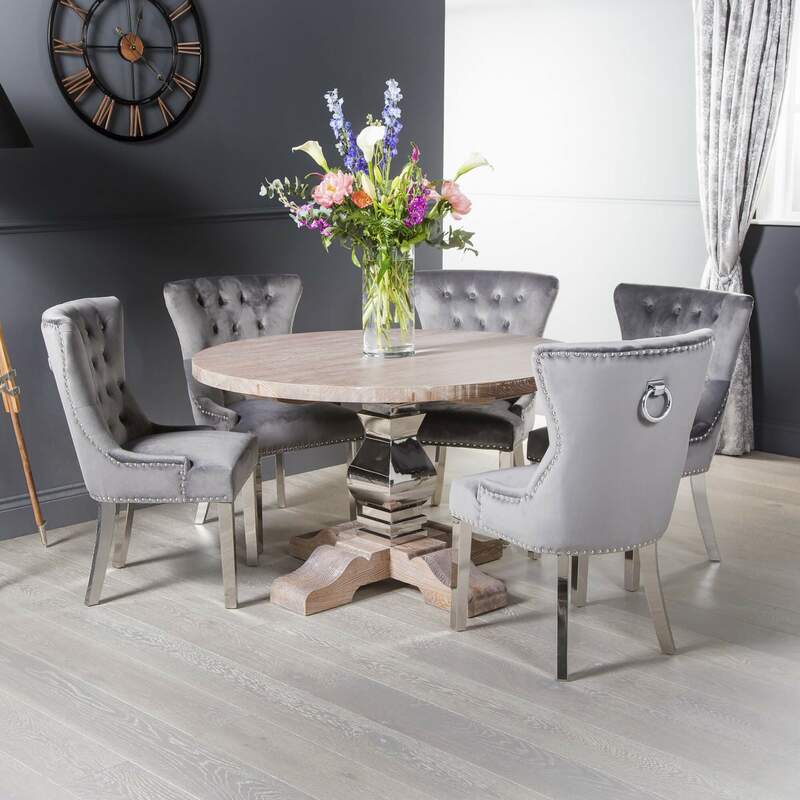 We do sell these dining chairs separately.